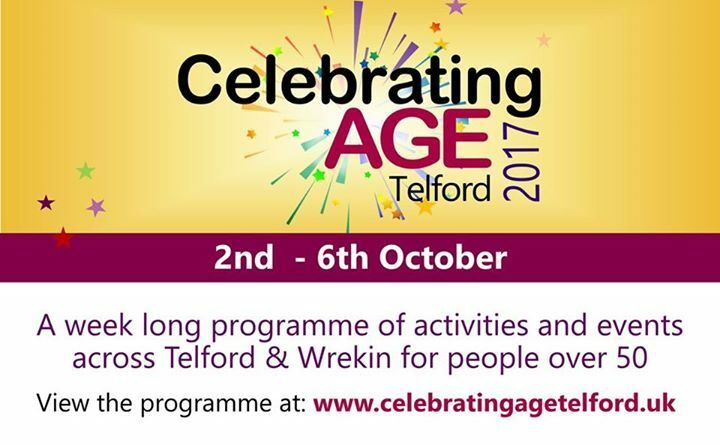 Organisers of the Celebrating Age Festival are inviting you to take part and make it a great success. Launching on Monday 2nd October (the day after the UN’s International Day of Older Persons) with a free event at The Place, Oakengates, over 70 events will be on offer during the Celebrating Age Festival which runs until the 6th October, right across Telford and Wrekin. 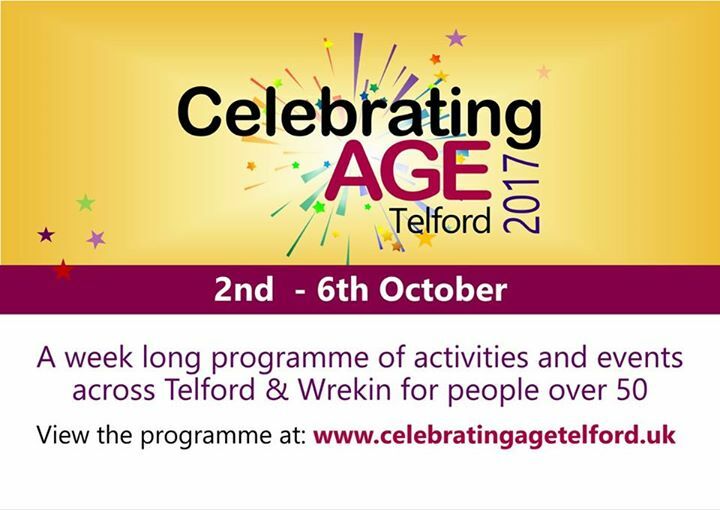 Events and workshops are taking place at venues across Telford and Wrekin, and a programme of events is available at local libraries at www.celebratingagetelford.uk or by calling Lynne Carney on 07552 975676.